It is an honor to be included in this annual event , organized by the Henderson Libraries. 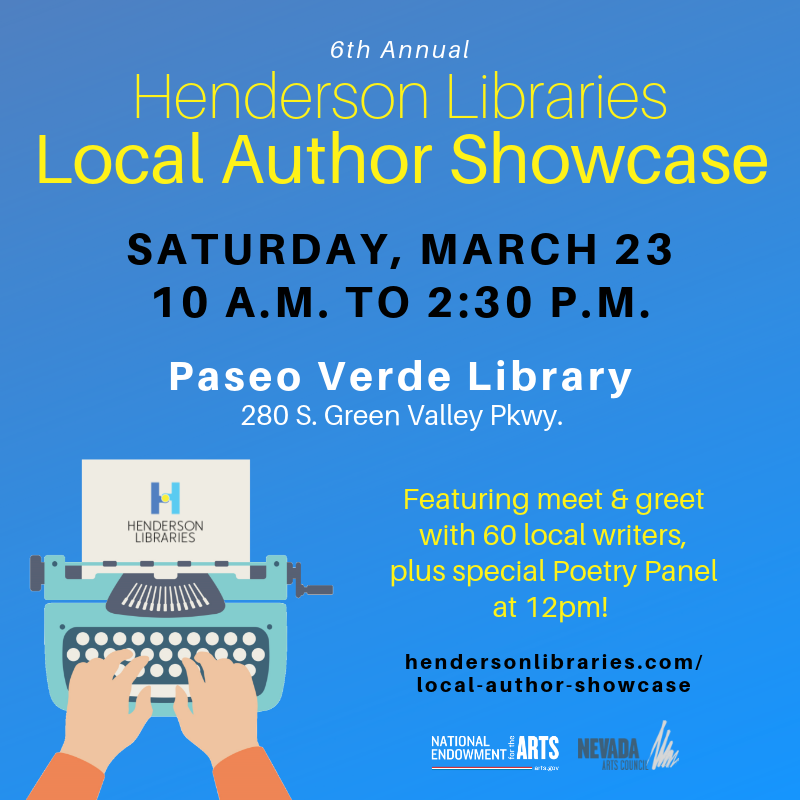 It is always a well-organized event, and my thanks to Henderson Libraries for providing the opportunity for over 60 local authors to present their literary works. I will be showcasing my cozy murder mystery, Murder Aboard the Queen Elizabeth II , the award-winning Chapel of Eternal Love – Wedding Stories from Las Vegas, and the critically-acclaimed sequel, Return to the Chapel of Eternal Love – Marriage Stories from Las Vegas . If you are a book lover, this is an absolute must event. Hope to see you there.